With the arrival of the mountains, the Giro meets its ideal terrain: between Piedmont and Friuli the race ignites on this climbing monument. Michele Polletta tells us the story of this extraordinary stretch of the race. Have you ever thought about your favorite activity and about identifying its Temple? The place that takes it to the next level, where you enjoy it and breathe it: like starred restaurants for the gourmets, Wimbledon for tennis fans, La Scala for melomaniacs. Likewise, cyclists from around the world have roads: asphalt, setts, dirt roads and climbs. Precisely for this reason, the Giro d’Italia edition 100 returns to many of its historical climbs where the legend was built, strengthened, and enriched. Retracing the stories, names, and major climbs of the race helps us rediscover forgotten places or to find new ones. Let’s explore a couple of them: after all, this is the magic of the Giro too. Stage number 14 will be a little easier than usual – a very short 131 km climb – but on the finish lines that made history the group always arrives galvanized, so it will surely be fun. The racers will start from Castellania, Coppi’s hometown, with the finish line in Oropa after a climb of about 11 km. This climb is associated in particular with two personalities: Miguel Indurain, the absolute master of stage races in the 90s, who experienced a sensationally bad afternoon in June 1993 when, due to a sudden crisis, he risked losing the pink jersey on these roads. A few years later, Marco Pantani made his mark: at the Giro 1999, after stopping due to a mechanical failure, il Pirata surpassed all 47 runners one by one, winning the race with an epic comeback. The race is not the only reason to climb up here. The goal is hosted by the most important Marian shrine in the Alps: the sacred place par excellence, first pagan and then Christian, housing a statue of the Black Madonna. According to legend, it was brought here by Eusebius himself. 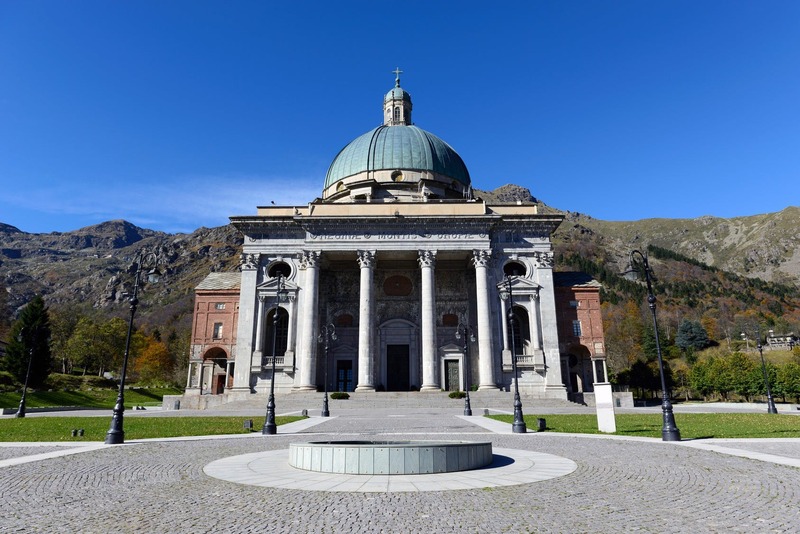 Don’t miss the chance to visit the fascinating ancient basilica or the monumental new basilica, with its huge dome silhouetted against the top of mountain Mucrone, the Sacred Mount dedicated to the life of the Virgin. Also, why not treat yourself to a nice plate of typical polenta concia in one of the many restaurants, and don’t forget to start with a robust round of appetizers – which is a must in Piedmont. For sports enthusiasts, however, besides the asphalt climb, either on foot or by bike – the only way to experience the difficulties faced by competitors first-hand – you can reach the shrine through one of the trails branching off from the surrounding villages: immersed in nature, generally milder, allowing you to enjoy the lovely views. The brave can test their skills with more thrilling activities such as Parco Avventura Oropa or the two paths to be tackled downhill by bike at the Freeride Bike Park. This Corsa Rosa is so rich in evocative and potentially exciting stages that stopping in Oropa would be a crime. We move on then, at least up to Bormio for the “tappone” that leads here, where tradition and tasty rediscoveries blend together, for a sight you can’t miss. The beginning of the stage is still tied to Pantani: the first difficulty of the day is the Mortirolo, a terrible climb, where the Pirate built his legend during the early days of his career. There’s also a vintage side: the stage ascends from Monno, a side that was only raced on in 1990, to discover this mountain. This side is slightly less harsh, but it’s certainly no piece of cake. You have to save your energy as much as possible, spending too much time at this stage could mean saying goodbye to your ranking. 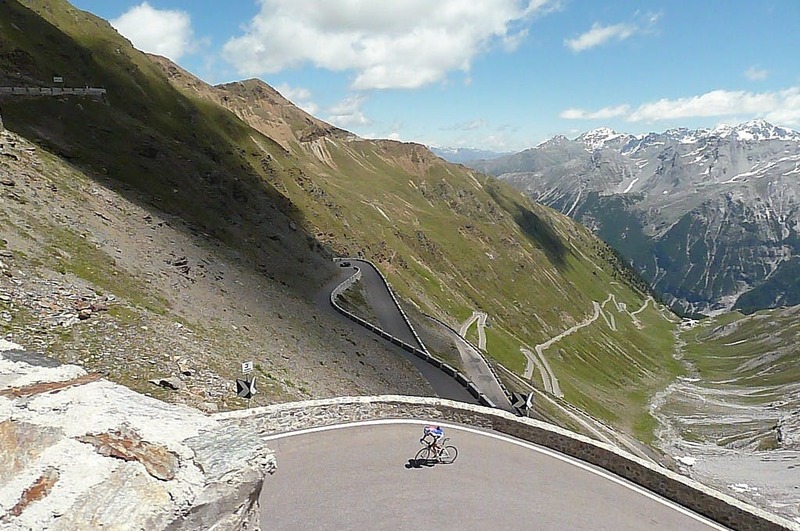 Continuing, you’ll encounter two old acquaintances: the Stelvio climb and Fausto Coppi. Right here the champion signed one of his most impressive endeavors in 1953. 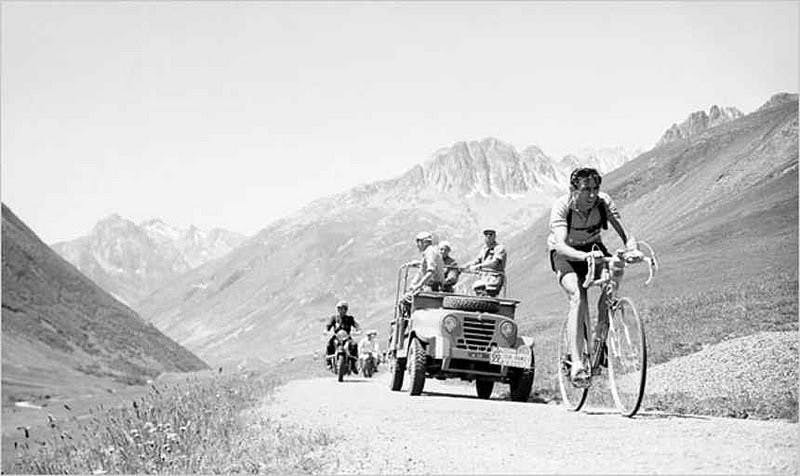 After looking worse off than the Swiss Koblet for the whole Tour, he ambushed him right between the bends of the Stelvio and surpassed him. When Fausto gets to Bormio the ranking is reversed and commentator Mario Ferretti startles all Italians by saying “One man alone is in the lead, his jersey is white and light-blue, his name is Fausto Coppi”. A breath-taking climb, the Stelvio brings its greatest difficulties from the altitude and in the continuous hairpin bends. On this stage the Stelvio will be climbed twice: the first time completely, on the side of the Lombardy region, until the pass is reached; this climb, that touches an elevation of 2700 meters, will be this year’s Cima Coppi, i.e. the highest mountain of the Giro. After the descent, the race will run on the Swiss side, it will stop at the Umbrail pass, though; once there, it will begin the long drive towards Bormio. The descent itself suggests that the Stelvio does not belong exclusively to the cycling world, as a matter of fact, for several years Bormio has hosted one of the most technical downhill races of the Ski World Cup and, on the “Stelvio” track, the greatest skiers of the past twenty years have been the protagonists. It might then be a good idea for you to test it yourself, with a nice skiing session. Are crazy speeds not for you? You may then opt for having an equally amazing snowshoeing session. 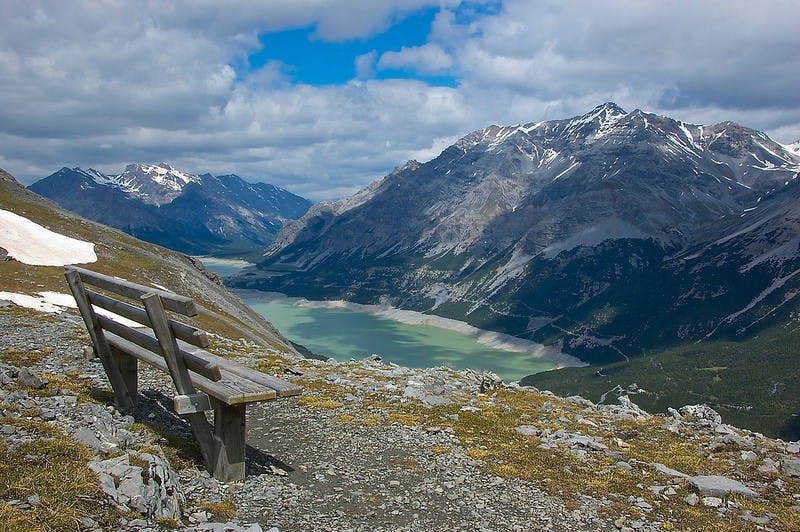 Of course, there are also interesting places accessible with walks in the woods, on foot or by mountain bike; the Torri di Fraele, the two artificial lakes of Cancano, or the fortress of Oga, with its exhibition on the Great War. After climbing all the way up to follow the stage, ski or go for a walk, you will certainly be very hungry. Don’t be afraid, the Val Tellina can also be appreciated with your legs firmly nailed under the table; after the cold cuts, we start with the typical polenta taragna – here you must compare it with the polenta “concia di Oropa”; it is up to you to choose which one you prefer – without forgetting that a wise use of buckwheat and the typical cheeses of these regions also give us the very famous pizzoccheri and sciatt, fried meatballs made with a base of Casera cheese. Even with your eyes and tummy filled with these wonders, don’t forget what lead you here: the Giro. The Corsa Rosa, once left Bormio, continues with at least three more exhausting stages: Tirano-Canazei with the climb to Aprica and Tonale, the Moena-Ortisei, characterized by tremendous climbs such as Pordoi and Valparola, and ending with the Piancavallo Stage, another climb made famous by Pantani. Cycling is the sport that loves and cherishes its past the most, it cannot live without it. However, this does not eclipse the present; while it’s true that this tour is dominated by Monuments and Stories, it’s also true that it reinvents them so that history may expand and enrich itself with brand new chapters. As you look around, breathe, refresh yourself and think of the Champions that have engraved their memory on those infernal paths; don’t forget to follow and encourage those who are retracing those roads. 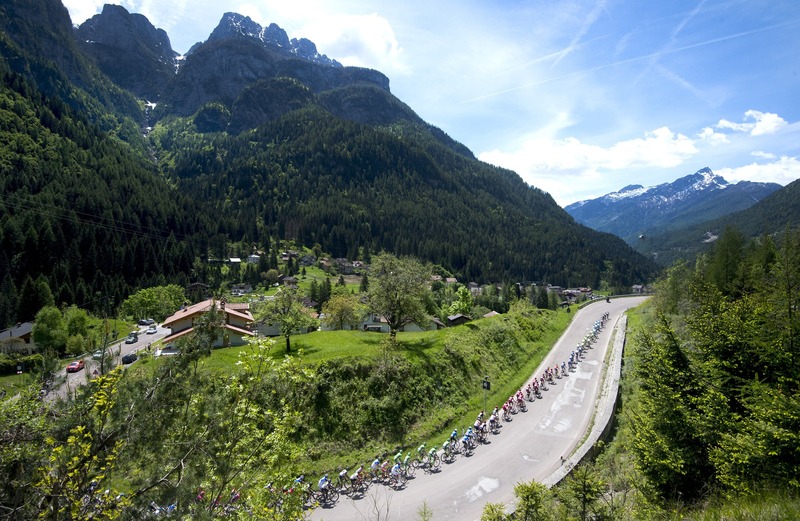 Breathe in the Giro where you can appreciate it more, in the mountains: the Giro of Bartali, Coppi, Gimondi, Merckx, and Pantani; but above all, observe Nibali, Thomas and Quintana: watch them and cheer for them, in the only way we can do so in each cycling stage: Allez allez allez!!! Michele Polletta nasce e cresce a Biella, corre a studiare filosofia a Milano: per ora, è ancora lì. Vivace, loquace, pugnace, iperattivo si dedica a una serie di sport che poi segue in modo ossessivo, dal divano o dal vivo, comunque senza muovere un muscolo. Alcuni sostengono che li racconti meglio di come li pratichi. Scrive, ma soprattutto parla, parla, parla: poco importa che si trovi a scuola, dove insegna, in un bar, o alla radio.